Home Sales in the Westwood subdivision in Rowlett, Texas have been brisk in 2013, with 42 houses sold. The houses sold were built between the years 1980 and 1992, and the average sales price for a house in the Westwood subdivision was $189,257. Home Sales in the Waterview subdivision in Rowlett, Texas have been brisk in 2013, with 138 houses sold. The houses sold were built between the years 1999 and 2002, and the average sales price for a house in the Waterview subdivision was $224,236. Home Sales in the Springfield subdivision in Rowlett, Texas have been brisk in 2013, with 81 houses sold. The houses sold were built between the years 1987 and 1994, and the average sales price for a house in the Springfield subdivision was $156,733. Home Sales in the Ridgecrest subdivision in Rowlett, Texas have been brisk in 2013, with 16 houses sold. The houses sold were built between the years 1984 and 1987, and the average sales price for a house in the Ridgecrest subdivision was $123,069. Home Sales in the Peninsula subdivision in Rowlett, Texas have been brisk in 2013, with 51 houses sold. The houses sold were built between the years 1984 and 1992, and the average sales price for a house in the Peninsula subdivision was $134,910. Home Sales in the Lakewood subdivision in Rowlett, Texas have been brisk in 2013, with 32 houses sold. The houses sold were built between the years 2000 and 2003, and the average sales price for a house in the Lakewood subdivision was $188,892. Home Sales in the Lakehill subdivision in Rowlett, Texas have been brisk in 2013, with 18 houses sold. The houses sold were built between the years 2012 and 2013, and the average sales price for a house in the Lakehill subdivision was $315,405. Home sales in the Rowlett area were down 26% in May 2014 compared to last year, with 101 homes selling this month. So far this year, overall home sales have a decrease of 8% , with 427 homes sold. New Rowlett real estate listings increased 9% from last year, with 160 homes listed this month. For the year-to-date, home listings have decreased 9%, with 590 homes listed. The number of current listings under contract this month was up 9%, at 125 homes. Listings under contract for the year-to-date have decreased 6%, with 494 homes under contract. Visit http://www.dfwhomevaluesreport.com for more info. Home sales in the Rowlett area were up 21% in February 2014 compared to last year, with 76 homes selling this month. So far this year, overall home sales have an increase of 14%, with 146 homes sold. New Rowlett real estate listings increased 3% from last year, with 101 homes listed this month. For the year-to-date, home listings have decreased 10%, with 190 homes listed. The number of current listings under contract this month was down 6%, at 92 homes. Listings under contract for the year-to-date have decreased 4%, with 165 homes under contract. 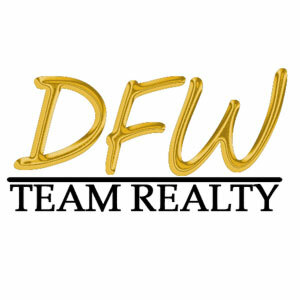 Visit http://www.dfwhomevaluesreport.com/blog/rowlett-home-values/ for more info.